At this point, you’ve already done a lot of work, gathering ideas and organizing them into must-haves and like-to-haves. (If you haven’t, please read Step 1 & Step 2 in this series.) Now, it’s time to find the person who can turn your ideas and lists into reality. That means, you must find the right designer and builder. The builder you hire should be able to give you the names of qualified designers with whom he/she has worked. Here are some questions (along with an explanation about why you should ask them) that will help you find the right designer. Question: How do you start the design process? Reason to Ask: Find out if the designer uses a systematic method to draw out your needs and desires. If the beginning is a blank sheet of paper, it’s not a good sign. 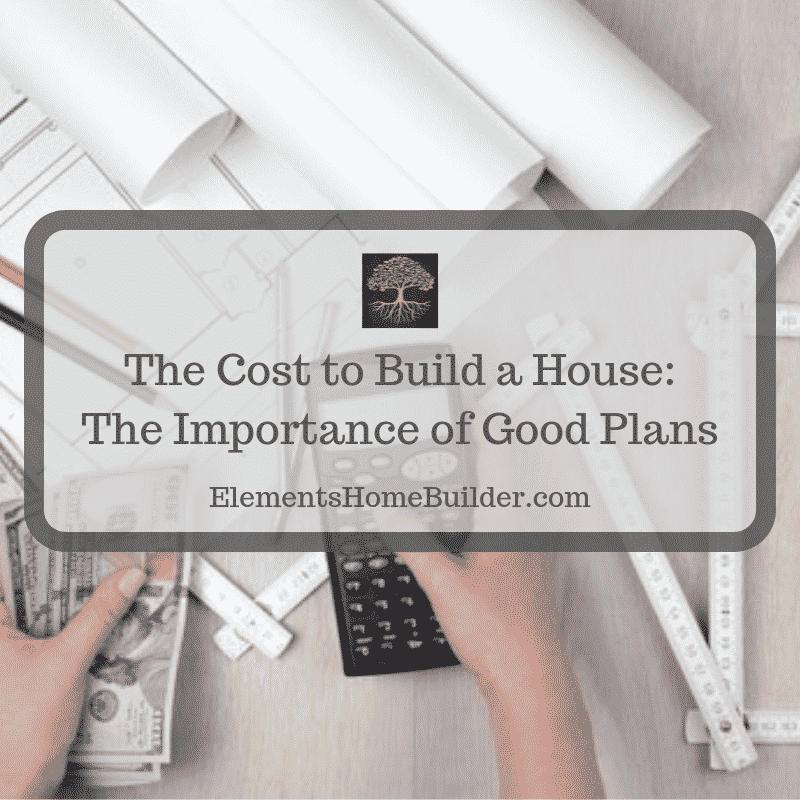 Follow-up question: Will we be starting with one of your existing house plan designs? 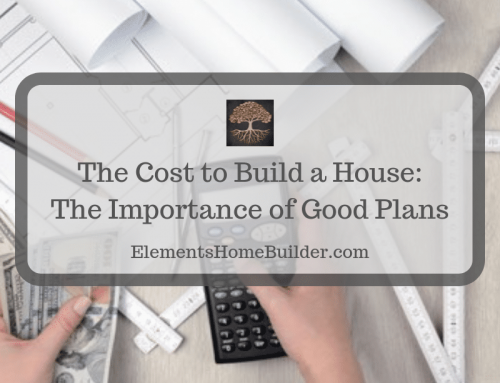 Reason to Ask: This allows you to discover if this designer is planning to design a one-of-a-kind custom plan or if he/she will be using an existing plan as a starting point. There’s absolutely nothing wrong with starting from an existing plan. In fact, this may help you stay within your budget. Plus, it should take less time to design. Question: How many meetings/drafts/revisions will it take? 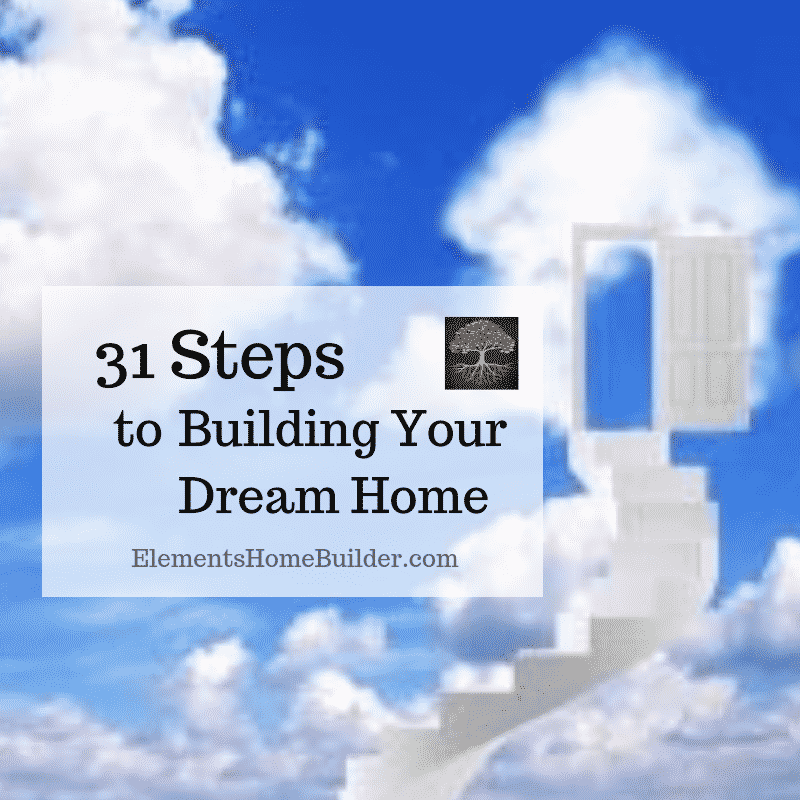 Reason to Ask: You need to know the designer’s process and feel comfortable that you can obtain the floor plans you desire within the schedule the designer proposes. Question: What if I hate the design? Question: What do you, the designer, do to keep the design efficient to build? In other words, how do I know I’ll be able to build this plan within my budget? Reason to Ask: This is a tough question for many designers to answer. Many have no experience building, so they really don’t have a feel for how much it costs to build what. (To them, they are simply lines on paper.) Because of this, more conscientious designers get feedback from their clients (both builders and individuals). They do this to find out how the building of their plans actually went, and they use that information to adjust their design practices. Some designers will tell you they don’t worry about designing for building efficiency, and that it’s up to the builder to worry about that. This is a half-truth. 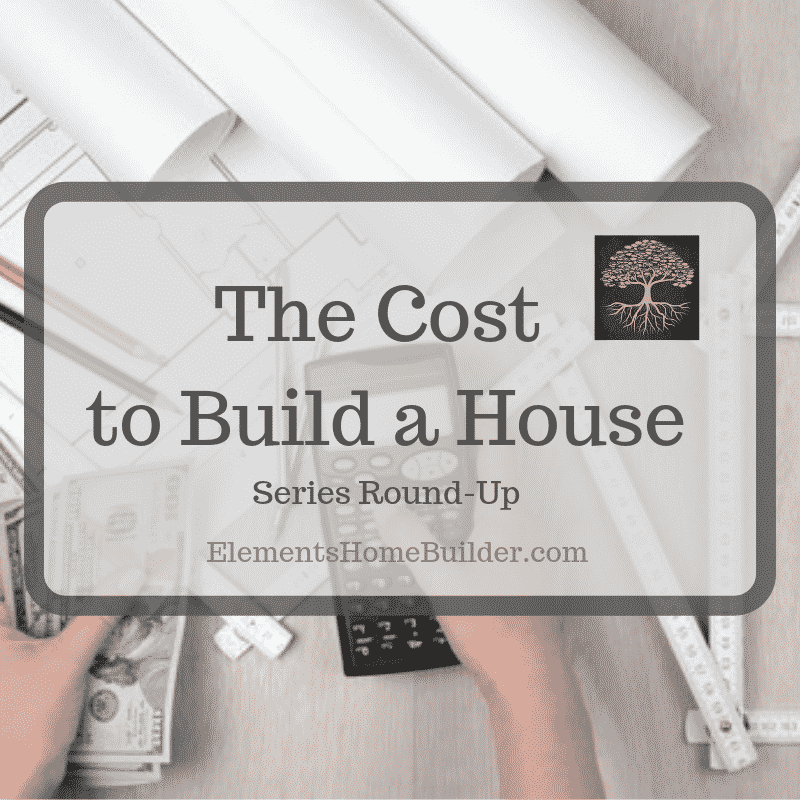 While it is up to the builder to operate efficiently, if he/she is building a design he/she didn’t create, then that part of it is out of the builder’s hands. Reason to Ask: This is a logistical question; therefore, the designer should have no problem answering clearly and in detail. Question: What square footage number does the designer utilize on his/her house plans? Reason to Ask: There are different ways to refer to square footage (explained below). 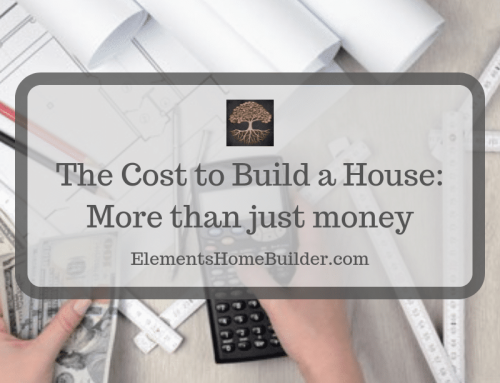 It is important that you and your builder understand what term the designer is using in order to budget appropriately. Under roof (or under beam): Total area covered by the roof, including first floor, second floor, porches, patios, garages, etc. Heated and cooled (veneer footage): If a house is covered by a brick veneer, the total plan area that’s heated and cooled but measured to the outside of the brick rather than the outside of the wood framing is called “veneer footage.” It’s the same as framed footage (above), except the plan area of brick is added in. This one seems weird, but it’s useful for comparing to completed houses because you can measure the outside of a house pretty easily. This is the area Realtors and appraisers use, because you can measure a finished house this way. Question: May I see some of your work? 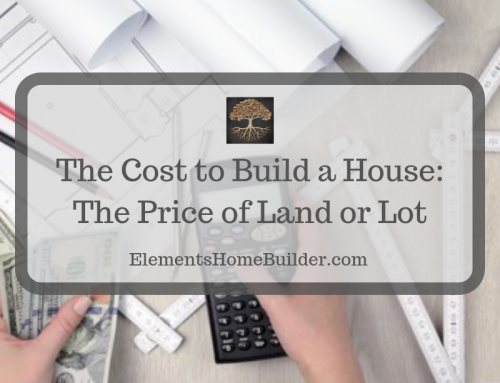 Reason to Ask: The designer should expect this question and be very willing to show you elevations or even artist renderings of the front of the house. Why do they show beautiful elevations? So you’ll fall in love with a look. Because the rendering might be in color, have big trees in the background, mature landscaping, and depict spring, the home will look gorgeous. Don’t be fooled by your emotional reaction to the pretty picture, however. Always ask to see floor plans. See if you can understand all the lines drawn on the page because this is what you will be reviewing once the process starts. 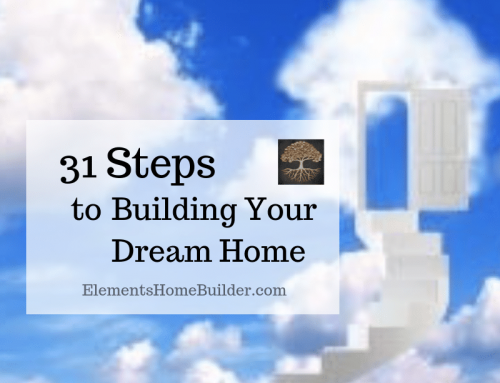 With Elements, when you find the builder, you also find a designer with over 20-years-experience. Because we are a design-build firm, we not only build your home, but design the perfect house plans, as well. This allows us to really get to know our clients’ wants and needs. 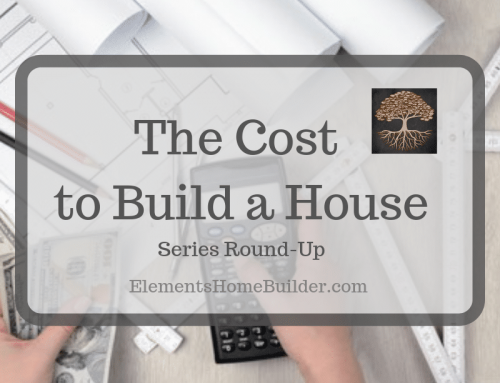 Plus, we can discuss your budget from the beginning, designing a home that will fit within your financial constraints. This way, you don’t design what you believe is the perfect house only to find out you can’t afford to build it. We would love the opportunity to chat with you about your building project. Please, contact us to schedule a meeting! 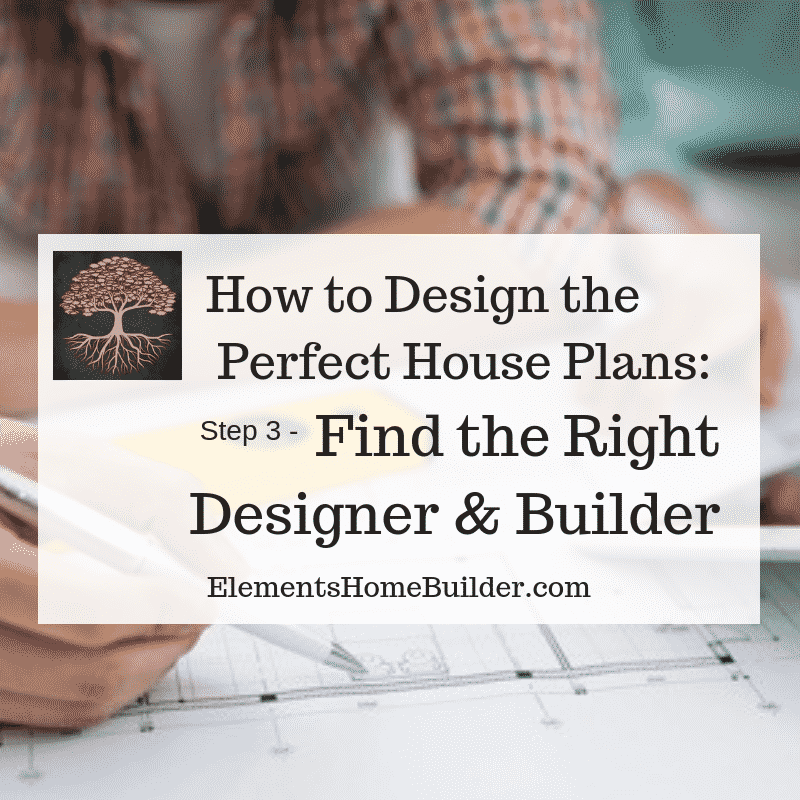 An article in the series "How to Design the Perfect House Plans," which gives information about finding the right designer and builder, including questions to ask with an explanation about why you should ask them.